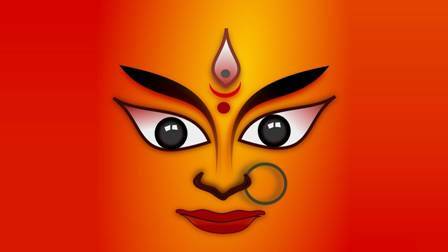 Jai Maa Durga means hailing the name of Goddess Durga. The one who is the source of divine energy flowing in our navel section. Goddess Durga is the manifestation of Adishakti, who takes care of her every child. Sanatan Dharma, the ancient culture knows very well that everything happens for a reason. Destiny works a mysterious way for every living being in the cosmos. The supreme energy controls the mysterious way of destiny, known by the name of Shiva-Shakti or Urza . That Urza is the authoritative force, who has provided a small portion of its energy so that the universe could work properly. Shiva and Goddess Durga are the dark matter and Dark energy.They live in the highest dimension, no one ever reached to that dimension. Lord Vishnu comes in the second prominent dimension. Humans live in three dimensions where they can observe object according to length, width, and breath. It allows them to move into three coordinates, X, Y, and Z. Shiva and Shakti live in the greatest dimension, and they can view an object through many scales. 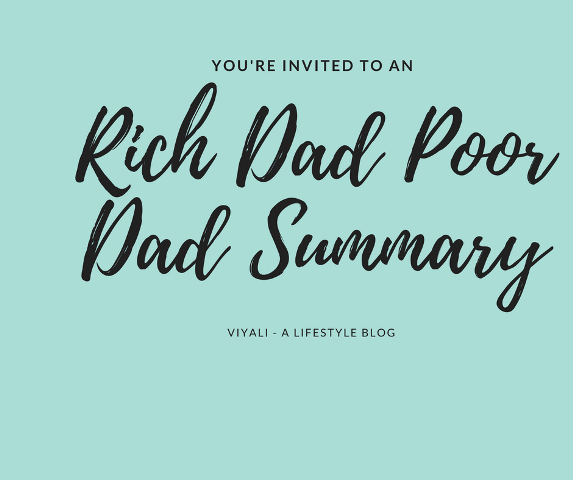 These parameters include time, space, Soul, Atma Gyan, Kaala, Karma, jiva chakra, Chetna (consciousness), etc. Shiva works as the isolated nucleus and Urza dances around him as the dance of creation or dance of destruction. Mother is known as Rudrani around Maha Rudra. At the highest level, they are one as Ardranarishwara . Energy is conserved; It cannot be created or destroyed, but it can transform from one form to another. In every epoch, this Urza or energy ( shakti ) takes various incarnations to get married to Shiva; so that world could operate smoothly. Lord Shiva is known as the destroyer, Mahakaal . He shares the beautiful household with goddess Parvati who is one of the ultimate incarnations of Urza. Goddess Parvati is the primitive form of Durga. 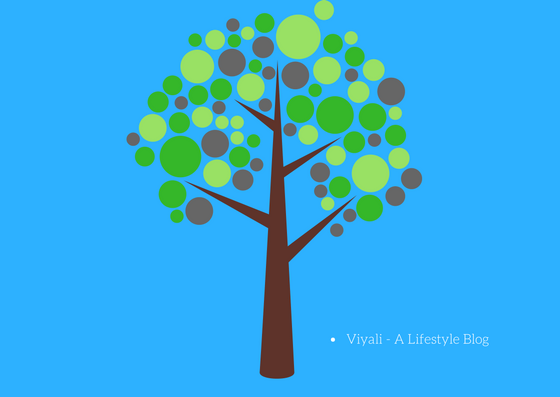 Adishakti works on her physical forms within Parvati. 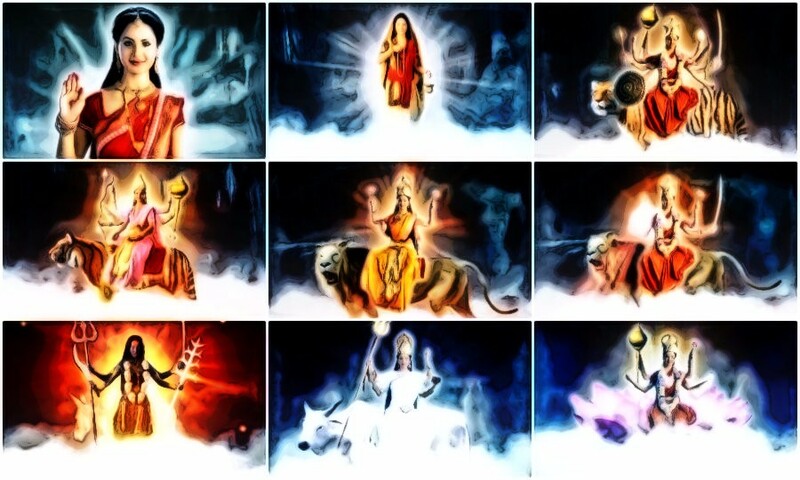 Parvati activated her Adishakti form with the support of Shiva. Shiva is the loving husband of Goddess Parvati. Shiva equipped goddess with Ashtanga Yoga and other siddhis which helped Goddess Parvati to become transcendental into various phases. Therefore, mother Parvati has the strength to share her internal energy into Goddess Durga. 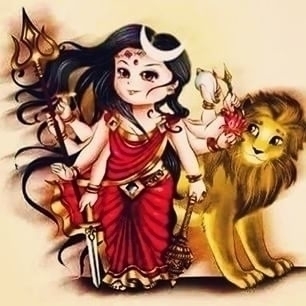 Durga Maa is the warrior Goddess who is invincible. Chanting Jai Maa Durga symbolizes glorifying the name of mother Durga. Lord Shiva (The transformer, Supreme consciousness) gets married to Parvati (daughter of Himalaya). 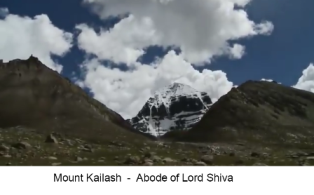 Lord Shiva is not just lord. 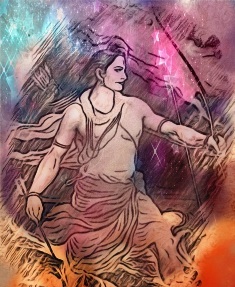 He is also the primitive teacher of the universe, Shiva was the first one, who equipped Saptarishis (seven fundamental sages) with all the consciousness of the cosmos. These Saptarishis went around the world for spreading peace and knowledge. Various proofs are available that Saptarishis influenced every part of the world. In that time, there was a demon king named Mahisasura. The demon king offered austerities to Brahma. Hence, Brahma appeared to him and asked Mahisasura to take some boon in return of his penance. Mahishasura asked for immortality from Brahma, but Brahma didn't grant his wish. Brahma knew very well that Mahishasura ego was his problem, which he had for demigods, So he boon him that his death is possible only by the hands of a woman. Demon Mahishasura accepted the boon; he supposed it as equivalent to immortality. He believed that if a man is not strong enough to defeat him then how could woman slay him. He believed that it would be impossible for any women to kill him. He started the war with devas and defeated them. Demon conquered the heaven and demigods requested Braham to protect them the atrocities of the demon Mahissura. Brahma told demigods that Mahissura is a strong demon. He is semi buffalo, and no man can destroy him. 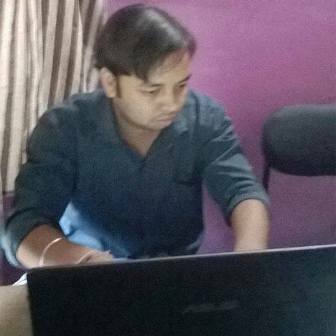 Only Goddess Durga can kill him; she is now in her transient phase within goddess Parvati. As soon as goddess Parvati attains her consciousness and becomes Durga, then only Mahissura could get die. Meanwhile, Shiva informs Parvati about all the eternal information which includes yoga, art, and self-realization known as Atma - Gyan. Goddess Parvati gets enlightened; she enables herself to master the Supreme form of her. The strengths of Adishakti gots awaken within mother Parvati. The avatar of Goddess Durga emerges from Goddess Parvati. That time demon king Mahishasura unleashed the terror on earth. His army killed many innocent sages. Demigods appeared to give salutation to goddess Durga, and after that Goddess rode towards the army of Mahishasura. Mahishasura army was lead by many demons. All were self-centered. Goddess destroyed everyone; when they tried to attack Goddess Durga. Now Mahishasura realized that his enemy is not ordinary, so he guise like a giant buffalo. On the other hand, Goddess Durga with her trident beheaded Mahishasura and, she established peace among sages. I bow down towards Durga Maa with devotion ... Har Har Mahadev. Blessing of Durga maa can heal all your anxieties; I remembered this classic song which I used to listen in my childhood. 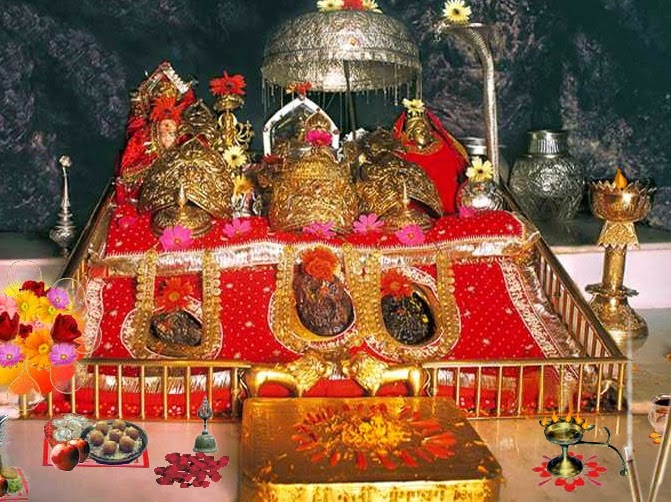 This song is the devotional song where a newly married couple played by legendary superstar Rajesh Khanna who is also known as Kaka of Bollywood and Shabana Azmi takes their unconscious baby to Vaishno Devi pilgrimage. This scene is from movie Avtaar (1983) . 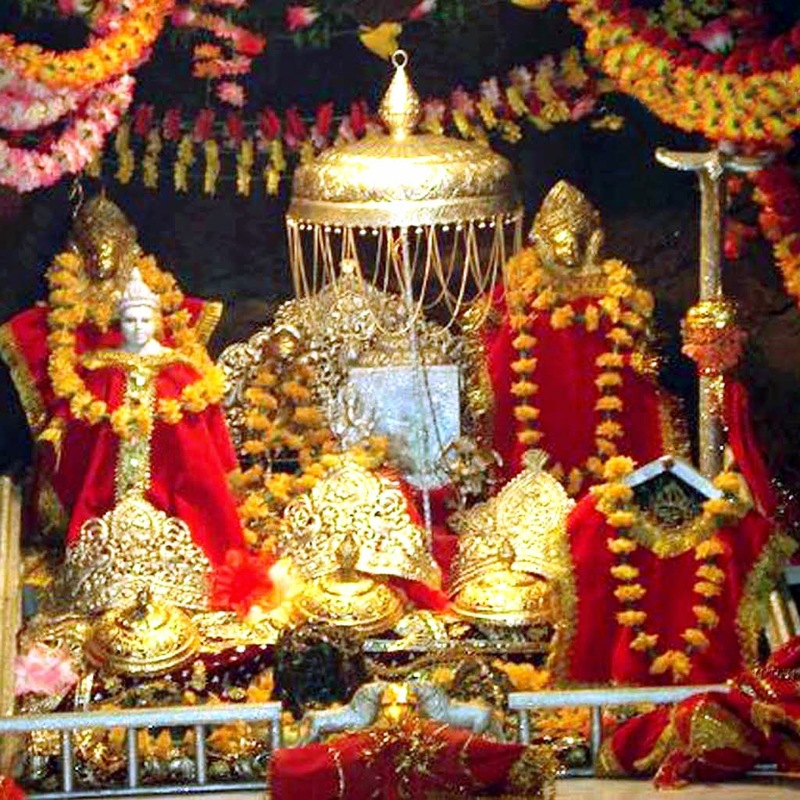 Every year millions of devotees visit Vaishno Devi. Mother Durga is kind and auspicious; she takes care of all her children’s. Hinduism has grand faith in Mother queen. Navratri is an extraordinary festival all across the planet. At the end of the song, the goddess blesses the child consciousness. To the Divine Goddess who resides in all existence in the form of energy We bow to her, we bow to her, continually we bow to her. 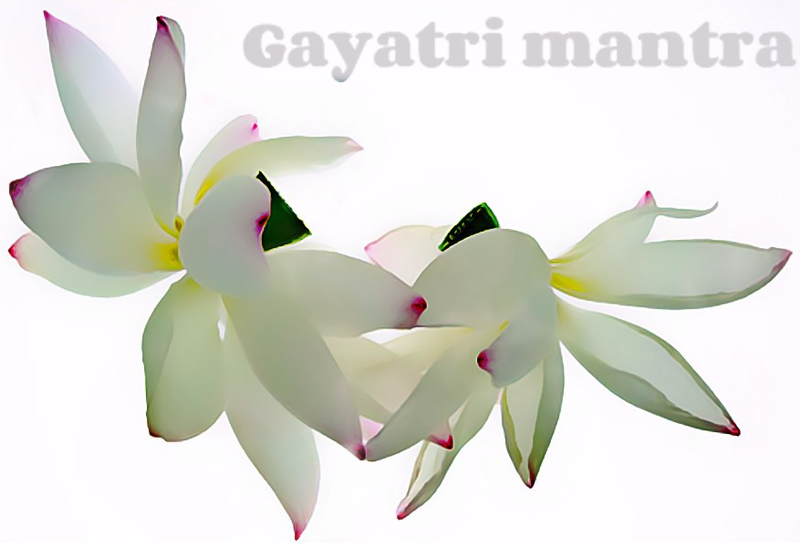 In this post, we have shared information about divine mother goddess Durga. 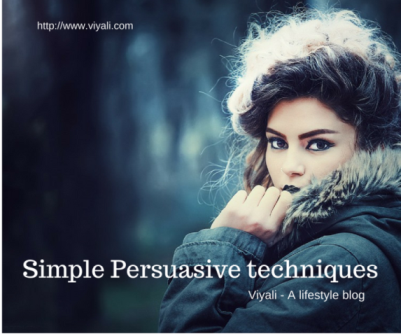 If you liked the post; please free to share it. We will be thankful for your kindness.